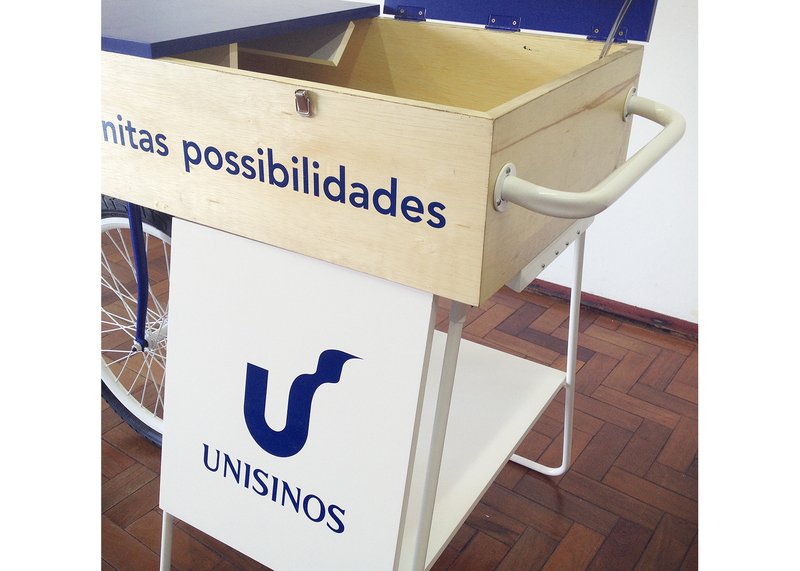 With the success of the uniscola kiosk project, Unisinos decided to invest in another collapsible piece of furniture to take the university to corporate dining rooms for undergraduate courses and, in particular, postgraduate courses. 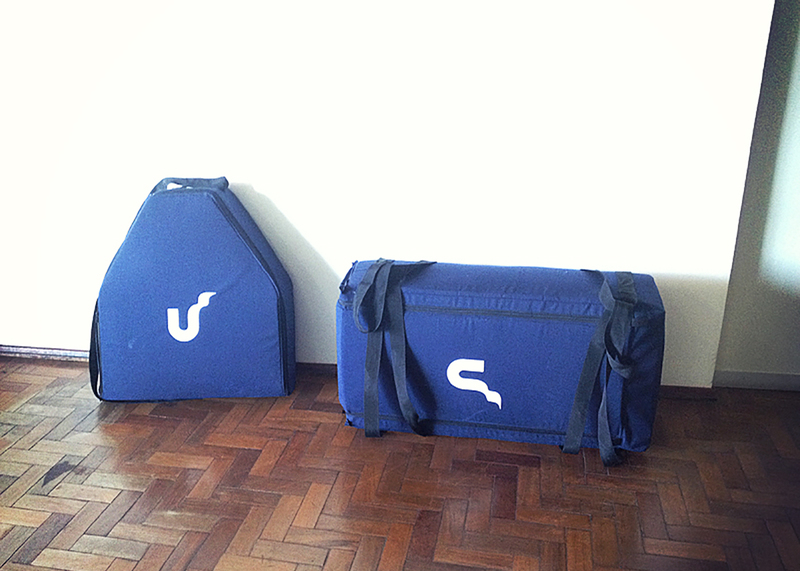 Given the logistical parameters (now the furniture needed to fit in a Ford Fiesta). 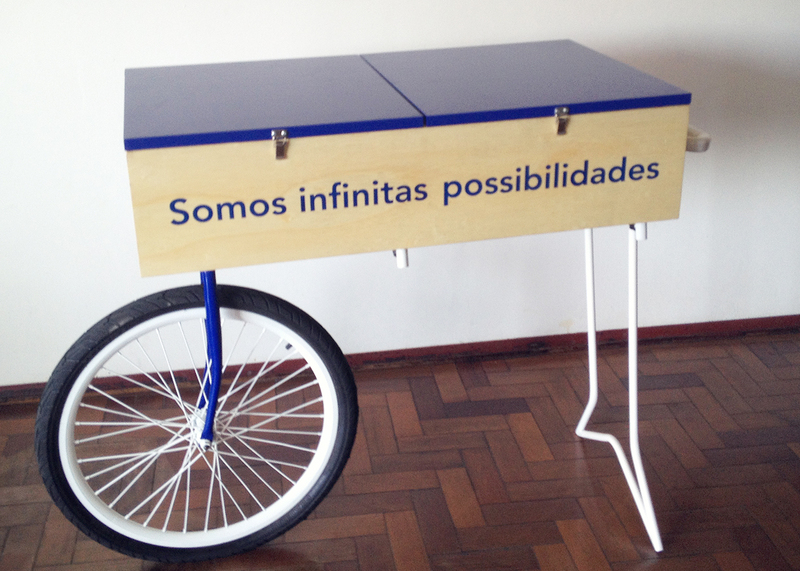 So we started off the famous European flower carts and created a furniture in which almost all the pieces fit inside. 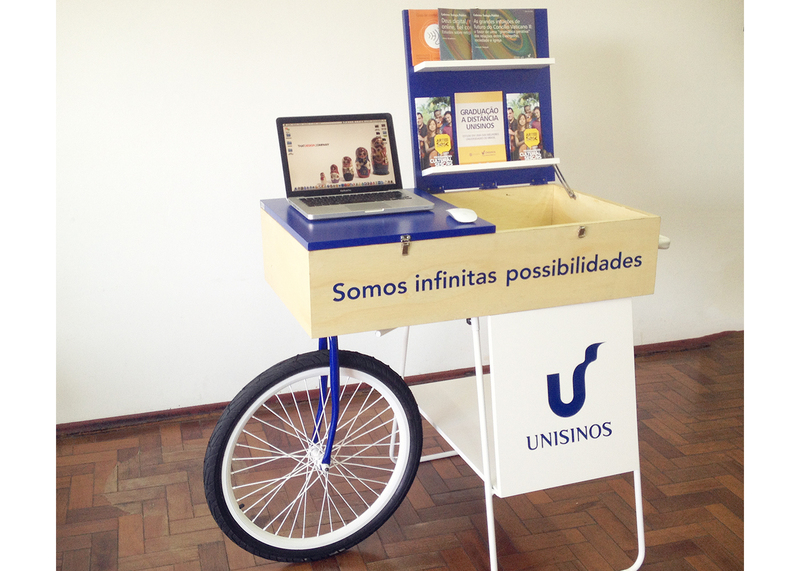 In this way, simply remove the packaging, fit the bicycle wheel and push the entire composition to the place of the fair. 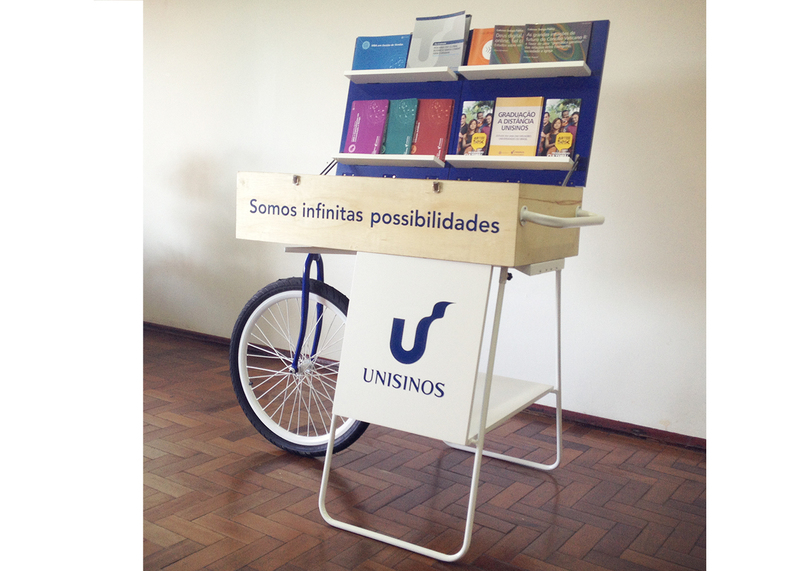 There, the parts are easily removed from inside the cart and in less than 5 minutes the exhibitor is assembled and ready to exhibit the university courses.